Be sure your LARP weapon is at your side with the Triple Triskele Sword Frog. 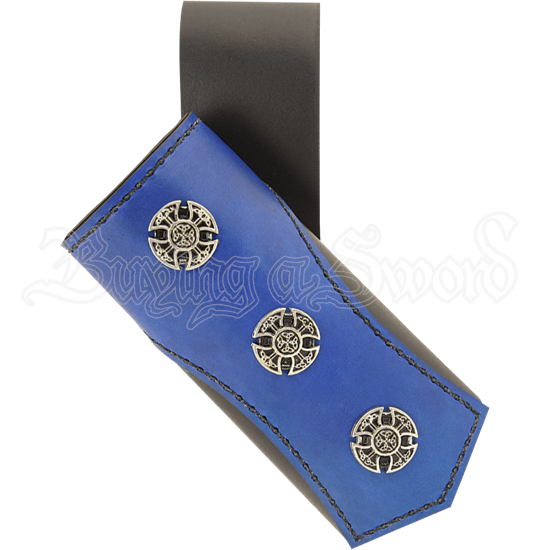 Essential for any LARP warrior, and with an effortless touch of style, this leather sword frog has three steel tone triskele conchos on its accent panel. The soft and sturdy leather construction is tube-shaped, making it a versatile way to carry not just LARP swords, but LARP daggers and axes as well. The body of the LARP frog is made of 5/6 ounce leather in your choice of black or brown. The wide front accent panel is made of 3/4 ounce leather and comes in a great variety of colors. 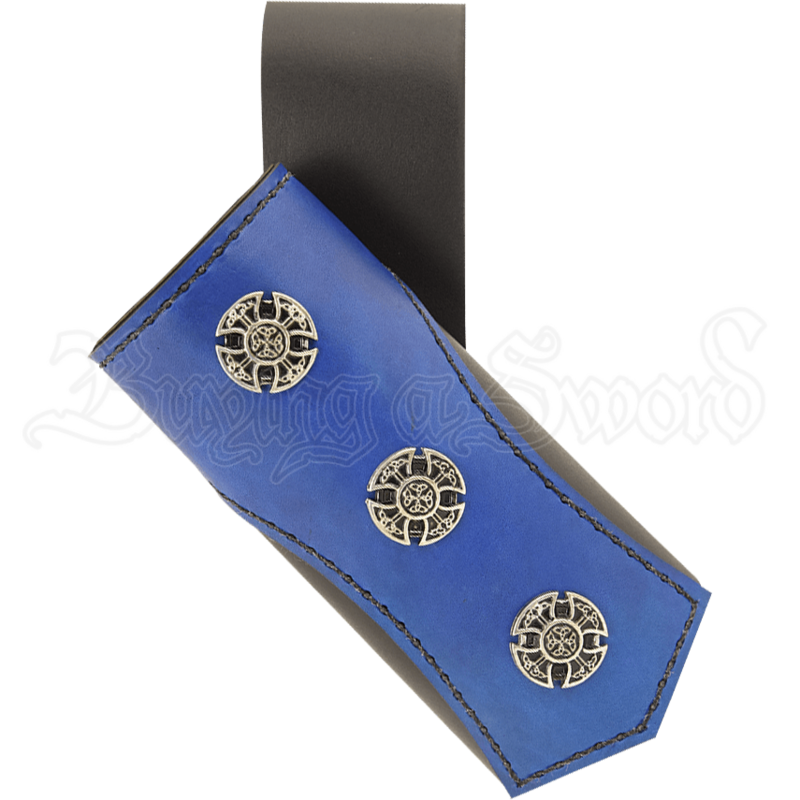 A loop on the back makes it easy to wear this LARP sword frog on belts up to 3 inches in width. Add this stylish weapon frog to your LARP outfit or fantasy costume to always have your favorite weapon at the ready.